TIGERLIM.COM: One Minute To Long and Big!!!!! I can't believe that what my own eyes see yesterday. Turn Big And Long With in One Minute????? Hey...... can anyone tell me that is this very common or long time already that selling by this Indonesian Medicine booth ka? I really don't know that they have selling this kind of stuff here you know! This is my 1st time I saw it man!!! Are they having the Vigra selling too? 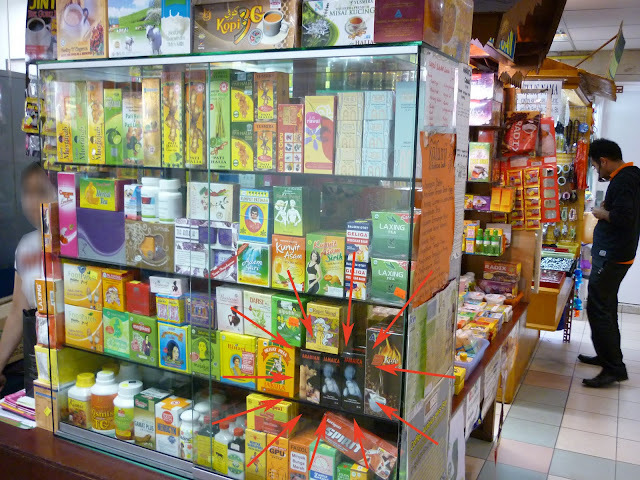 Most of the time if I want to buy some home use medicine, I usually go to the Pharmacy or the Traditional Chinese Medicine store there and buy. So never went to this kind of booth to take a look. So now I know liao! Then have so much update then other stall. But why is has to be Arabian Oil and Jamaica Oil kan??? Why cannot named as Asian Oil..... hahahah you know I know la!! !